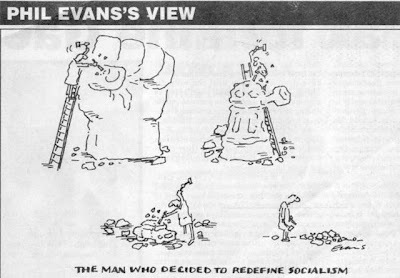 The passing of the brilliant socialist cartoonist Phil Evans (1946-2014) attracted much less attention than that of Tony Benn and Bob Crow, probably because for the last twenty years or so of his life he had not really been engaged with the political Left and so he had kind of slipped out of view. 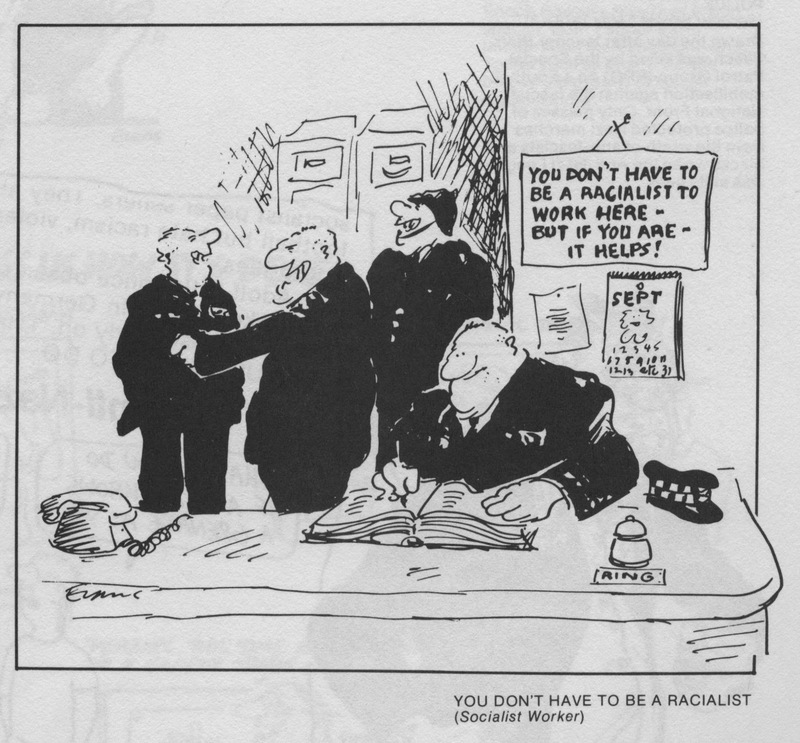 But his work from the 1960s until the 1980s Evans won a reputation on the Left as one of the best socialist cartoonists in Britain - and as the cartoons above hopefully show, he was able to wonderfully satirise everyone ranging from fascists and racists on the right to the limitations of the reformist Left. 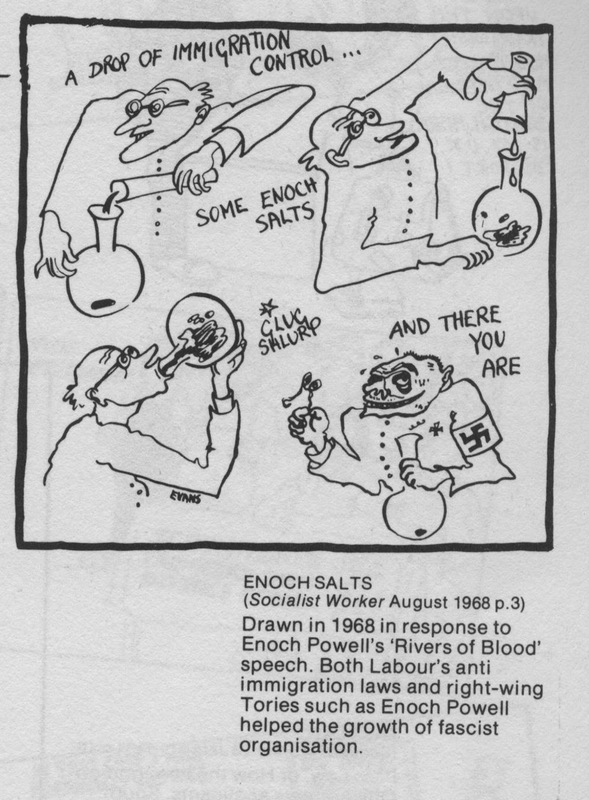 As Kent Worcester noted back in 2009 in The Comics Journal, 'Phil Evans is one of the most compelling visual satirists to comment on British politics in the past half-century. 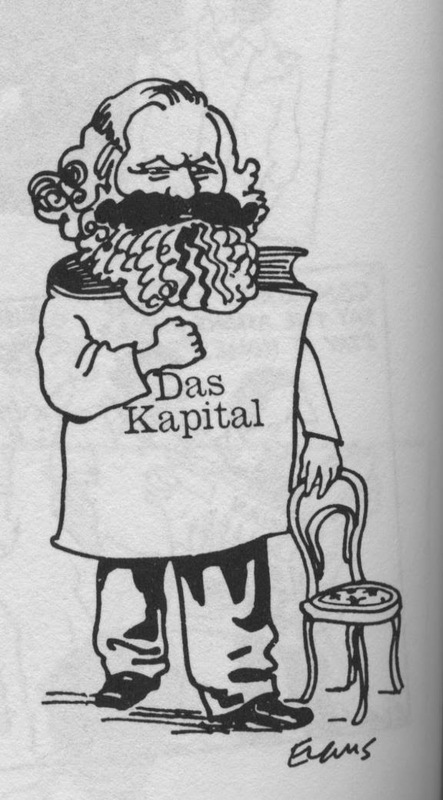 His career gives new meaning to the phrase “underrated.” His pen-and-ink drawings mainly appeared in SWP periodicals, most notably the weekly Socialist Worker. 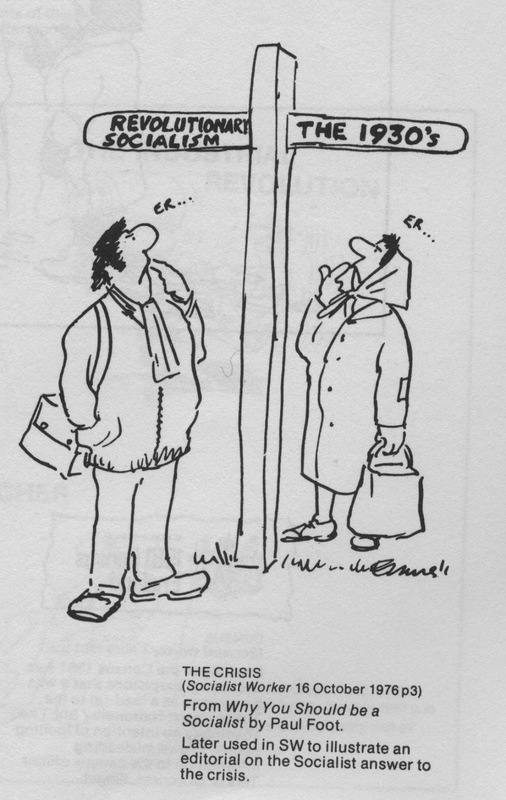 But they also turned up in numerous U.K. trade union publications in the seventies and eighties. 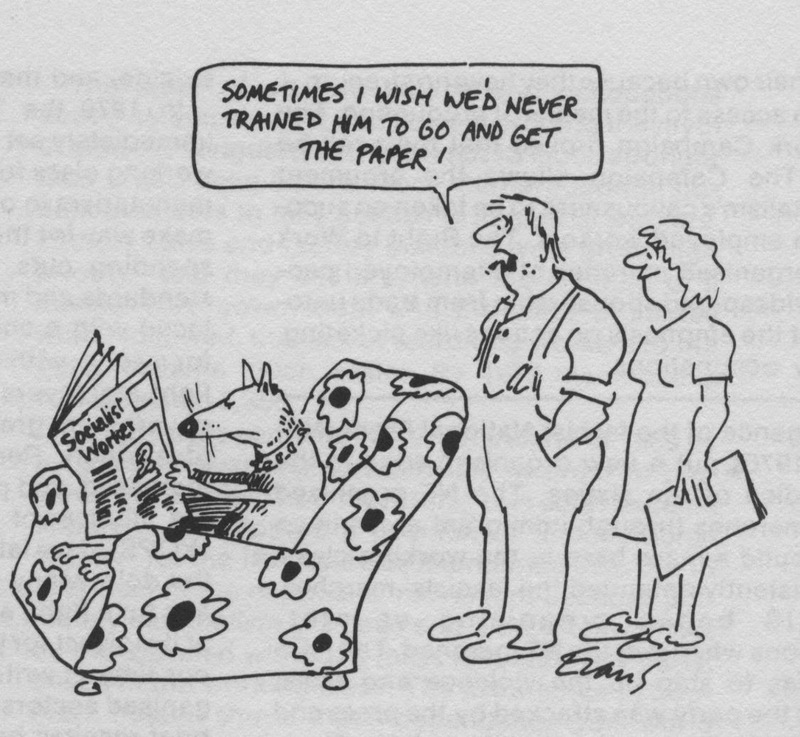 His work was at one time highly regarded among labor movement activists, but invisible even then to many fans of English political cartooning. For American readers, the only plausible point of entry into Evans’ work would have been Trotsky for Beginners, published in 1980, with text by Tariq Ali, or Marx’s Kapital for Beginners, published two years later with text by David Smith'. 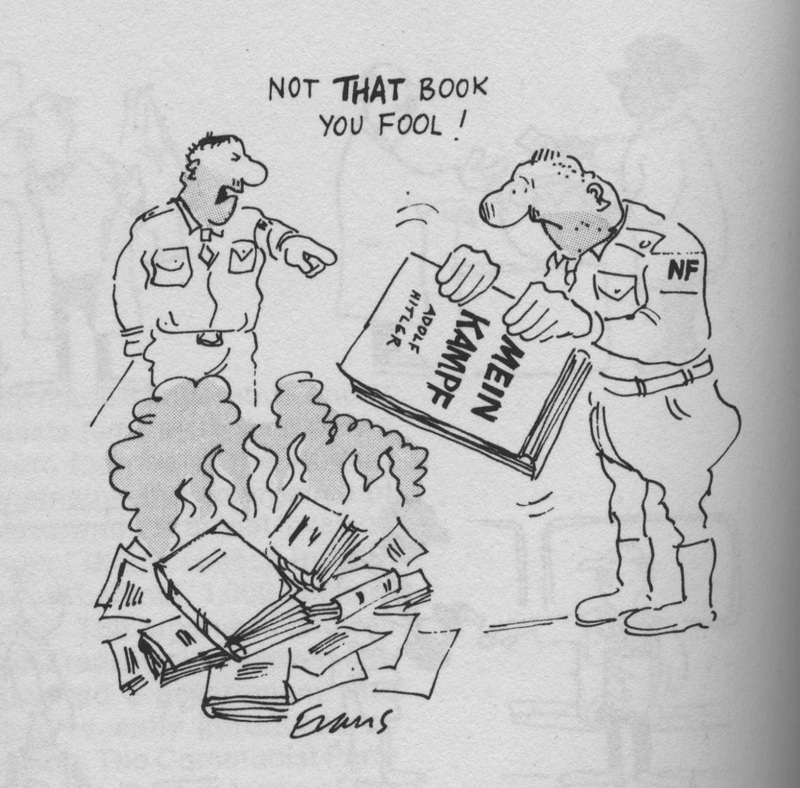 In The Joke Works, a collection of his cartoons from 1982, Evans described how he first came to draw his first political cartoons from 1965 onwards, aged 19 as a student at Leeds College of Art, and what he was trying to do with cartooning. As Roger Huddle, who worked with Evans in the SWP printshop during the 1970s, recalled, 'Norman was every worker, someone ducking and diving though the trials of work in a factory. He got one over on the bosses, kept up his union dues and took great pride in outwitting the foreman. 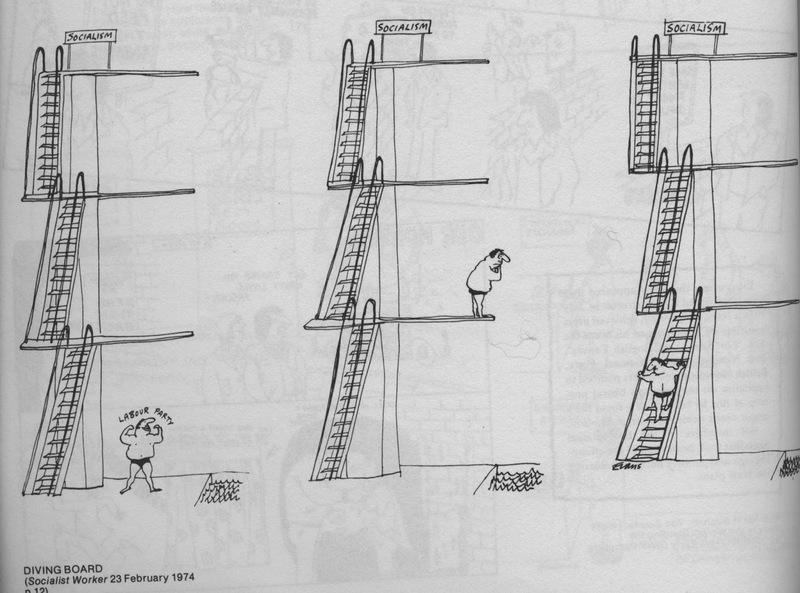 How Phil maintained the excellence of this series was his commitment to the workers’ struggle.' 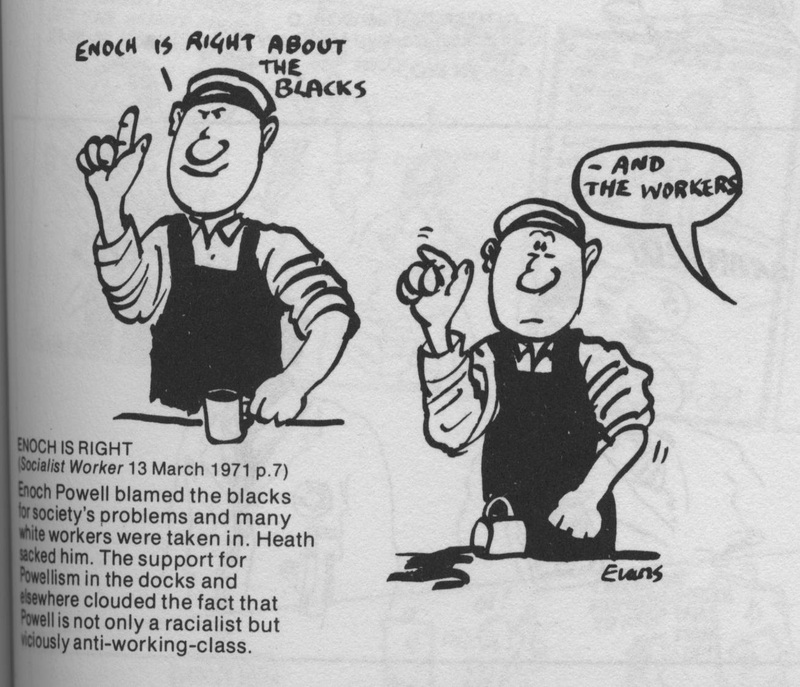 Workers in struggle today - together with other socialists - can still learn much from the wit and wisdom of Phil Evans - who, like Tony Benn, made a tremendous contribution to powerfully and memorably communicating socialist ideas to a wide, popular audience.